On January 2, 1863, Bragg was surprised that the Federals had not left the field but were occupying a hill on the east side of Stones River which threatened his right flank . Bragg told Breckinridge to seize the high ground and drive the enemy back across the river. While the Southerners were forming for their attack, Union General Crittenden ordered his chief of artillery, Capt. John E. Mendenhall, to provide support for the Union troops across the river. 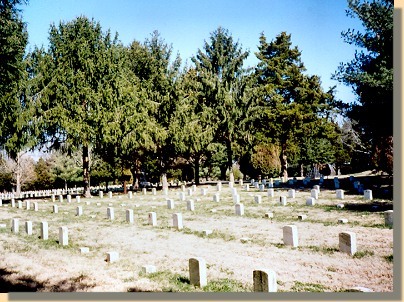 Within half an hour, Mendenhall assembled 58 guns and had them trained on the ground over which the Confederates would have to travel. Battle of Stone River, Near Murfreesborough, Tenn.
Union (Gen. Rosecrans), Confederate (Gen. Bragg). When the Confederates attacked, they overwhelmed the outnumbered Union soldiers on the hill, who fled in headlong retreat down the back slope to a shallow river crossing known as McFadden's Ford. 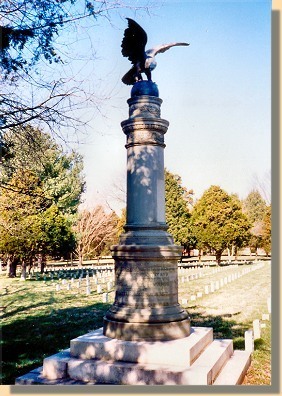 As the Confederate soldiers came into range, the Federal gunners opened fire. In minutes, 1,800 Confederates were killed or wounded. The rest withdrew. Bragg left the field on January 4-5, retreating to Shelbyville and Tullahoma, Tennessee. 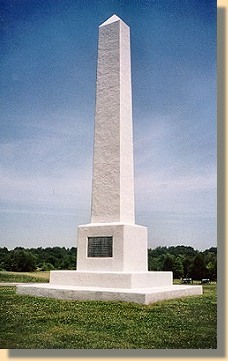 Rosecrans did not pursue, but as the Confederates retired, he claimed the victory. Stones River boosted Union morale. The Confederates had been thrown back in the east, west, and in the Trans-Mississippi.